It’s our staff who make the difference. Müller is an attractive employer. We are successful because the activities of all our staff are perfectly attuned to each other. Only so can we ensure that products end up in just the right place, day after day. Since the time when I was at Kroeze, I have always worked for Müller. Müller took over the chilled transport from Kroeze. Working with conditioned transport suits me and I have always worked in this sector. There’s a lot of variety in the work. We often carry products (foodstuffs) for customers, but sometimes we also carry full loads of packaging. There’s a real family atmosphere and staff treat each other in a very friendly way. There is also a very good relationship between the various departments. At Müller everything is also very well organised. So for example our wages are always paid correctly, and we have plenty of opportunities to take our leave days. 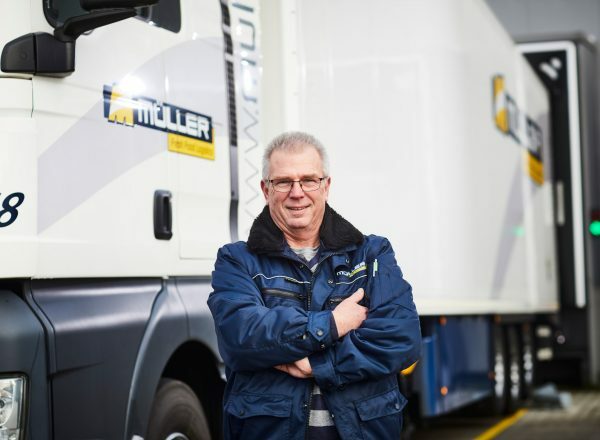 I’ve been working for over twelve years for Müller as an on-call driver, after my job at the Ministry of Defence. By carrying on working as a driver I can hang on to my HGV licence. And I like to be on the road. For Müller I do a number of rounds a week, usually on Saturdays. So it’s easy for me to combine this with my other job. Müller is a company that’s there for its people, they’re very sociable. The drivers are not just a number, and that’s a good way to work. It’s good to be appreciated in your work. 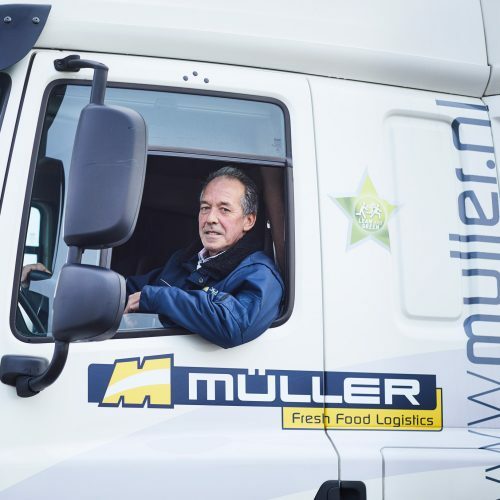 I’ve been working for Müller Fresh Food Logistics as a part-time driver for three years. As a mother, I can combine this part-time job really well with my domestic situation. With Müller I have set arrangements about which days I work. The schedules are flexible, too, and you can sort things out in discussions. In practice, I work two days a week. Those days I usually get up early to start my round. My most important task is to get the products to the customers as smoothly as possible. When I deliver them I sometimes see suprised faces, because there’s a woman behind the steering wheel! Sometimes they look at me all wide-eyed at first and then they give me a thumbs-up. It’s very cool to get these spontaneous reactions! 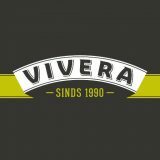 I’ve been working with Müller for eight years now, and I mostly drive in the Netherlands, Belgium and a part of Germany. That means that sometimes I’m away overnight. I speak German and English, and that’s useful in my work. I can always rub along. Müller is a great workplace with good colleagues, where everything is well organised. I got my heavy goods vehicle licence through a course at the Transport and Logistics Sector Institute (STL/VTL). Then I got a job with Müller, where I’ve now worked for almost ten years. In my opinion Müller is a great employer. The company is very sociable, and there are lots of opportunities. Their planning is very flexible if I occasionally need time off. For instance, I recently became a father and after the birth I wanted a few extra days’ leave. That was arranged without problems. I do a lot of distribution work for Müller, but I’m also away overnight from time to time. So my job is very varied. I have a ‘regular’ truck where I spend a lot of time. I always keep it in good order. Müller think it’s fine that I’ve decorated the inside more to my taste. I often get compliments on the changes to the truck and that’s cool. I started at Müller in the carwash, and then progressed to become a driver. I was trained here to get my CE driving licence, which I achieved about a year ago. There’s a really good working atmosphere at Müller, and I work with great colleagues. Müller is a large company with a lot of opportunities, and everything is always well organised. My daily activities consist of driving, loading and unloading. It’s also important to keep the records up to date on the on-board computer. flexible availability I really like flexible working. It’s a big advantage for me that I can work on Saturdays. New talent is very important to Müller. Alongside the theory that students acquire during their training, we think it’s important for them to have the chance to get some practical experience. 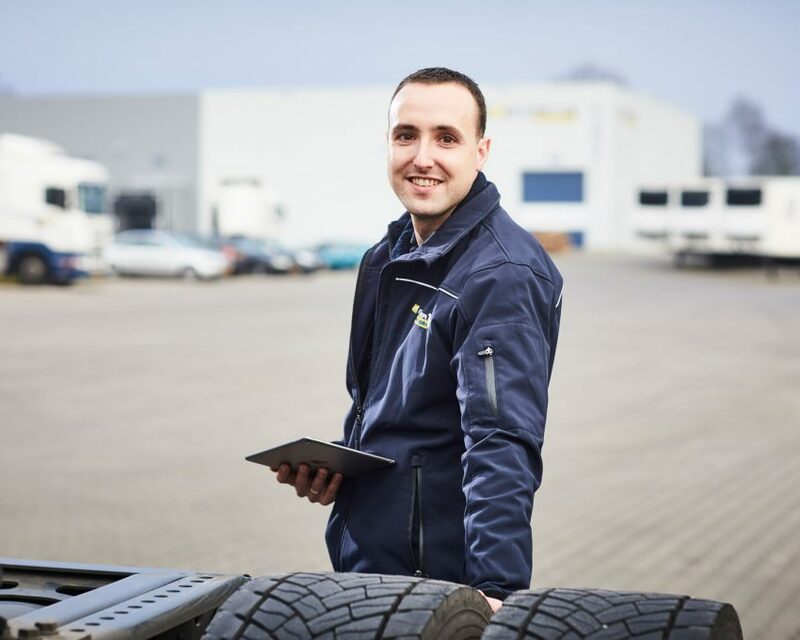 Müller is therefore also a recognised training company in the Transport and Logistics sector.